My favorite part of Halloween is coming up with creative ways to decorate and come up with creative treats! Our design team has taken the darling new Halloween Parade Collection and come up with some darling ideas that we hope inspire you! Remember to PIN, Post to Facebook or Leave a comment and you'll be entered to win a box of some amazing Halloween Parade Collection! Whoooooo's ready for Halloween? THIS GIRL! It's one of my favorite holidays and I am SO ready to drag out the pumpkins! I was over the moon when I got my Halloween Parade goodies. How can these bright colors and cute graphics not get you in the mood for fall? I created a cute little gift set featuring a cut file from SVG Cuts and a Create a Card base. Give this set to your favorite little ghoul. Looking for a web o' fun this Halloween? Craft a sweet treat using a pre-made box from the dollar store. 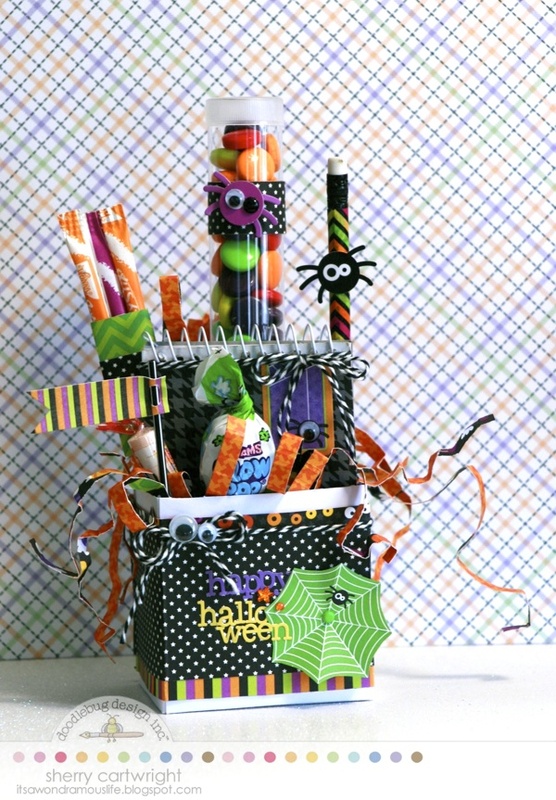 Add in some goodies and some cute office supplies for a box o' creepy cuteness. Ever needed a cute way to let the neighborhood kids know that you're all out of treats. make up a darling door knob sign and hang outside to let your little spooks know you're out! Wendy covered two big boxes of M&M's...all dressed up in costume for Halloween! 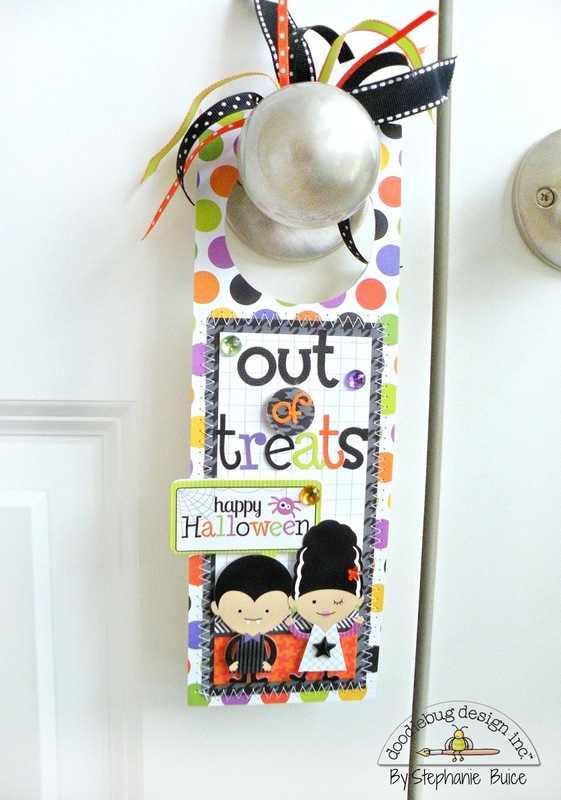 Love the cute Halloween projects, and the door hanger is adorable! Oh my gosh! These are great! I especially like the door hanger "Out of Treats"! Great ideas! I love this I can not wait til it hits stores!! I also pinned!! Everything here is so cute and so clever - and guess what? I want to try to make every single one of them!!! Love what you all do - you are the very best!! my favorite thing to do is do give treats that are all dressed up. these are all fabulous ideas!!!! Really like the gift ideas. Where do you buy those tubes? Shared on twitter so many can enter and visit this halloween parade week. Omg, these gift sets are way to cute to be spooky!! I just love Halloween. So darned cute! I love the kitty, the door hanger, everything!! Love all the Halloween ideas!!! Where can you find the "test tube"? Love your new lines and the Halloween line is 'bootiful'!!!! All the projects are so very cute. Where can I buy this collection once it for sale? Love all these projects they're all adorable! Halloween ranks right after Christmas when it comes to decorating and getting cards out. I enjoy sitting outside by a fire on Halloween night and handing out candy (I won't need the "out of treats" sign). I'd love to win this package. I can't remember when I was this excited to get my hands on new products I love everything in this line. Seriously I have ants in my pants waiting!! I love you Doodlebug. You are my Favorite Crafting Company. Oh do you have stamps? Super cute projects! I really like the tubes filled with the candy. I need to figure out where to get some. There is no Hobby Lobby or Michael's in my area. The door hanger is too cute and a great idea. Love the Halloween line!! So cute!! Very cute, all of them. I LOVE Halloween, and your papers are just too precious. What cute projects! I can't wait to create with this collection. These are the cutest! I love this line more and more! Already had fun pinning it! 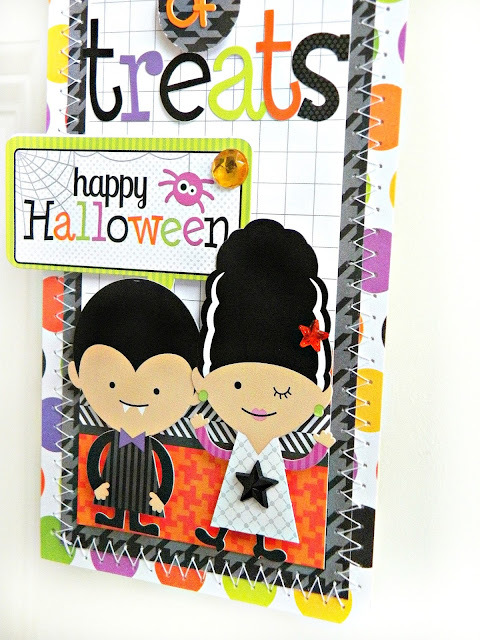 Adorable Halloween projects....what a great collection! I love that mummy. 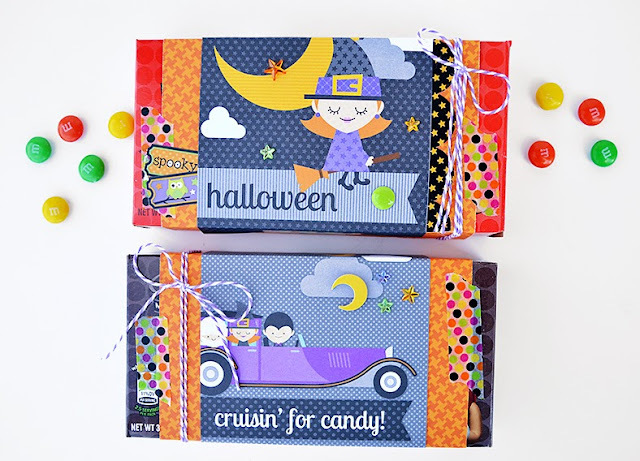 Such a fun line and adorable projects to spark the imagination! Love them all! Can't wait to make some of these projects, I am loving this line! Loving this line! Thank you for sharing your projects. Too frightful!! :) Luv it! Love the doorknob sign, super cute and a great idea! These are some very fun and cute projects, love them! Adorable projects today!!! I love this line! Super cute door knob hanger!! I love looking at all of the treat containers and door knob hanger!! I have so many ideas brewing in my head now! I am LOVING the new Halloween collection! Such cute projects! I especially like the doorknob hanger.